Eastern State Penitentiary will host its final Bastille Day celebration this year. Bastille Day, celebrated each year on July 14, commemorates the storming of the Bastille prison in 1789, which helped usher in the French Revolution. This year, Philly will celebrate the French national holiday with parties, food and drink specials and one last Bastille Day celebration outside Eastern State Penitentiary. A French-themed bar crawl will take place in Fairmount on Thursday, July 12, a few days before Bastille Day. Stop by Belgian Café, Bishop’s Collar, Fare, London Grill and Urban Saloon for Kronenbourg specials between 6 p.m. and 10 p.m. The crawl is free to attend, but make sure to RSVP and check-in at Urban Saloon to receive a complimentary Kronenbourg 1664 or Kronenbourg Blanc. Inside Nick Elmi's Royal Boucherie in Old City. Chef Nick Elmi's Old City restaurant is celebrating Bastille Day with tastings, giveaways and a costume party. To kick off the celebrations, there will be a French wine and cheese tasting with Di Bruno Bros. on Wednesday, July 11, from 5:30 p.m. to 7:30 p.m.
Then, on Friday, July 13, there will be another tasting. This time, there will be samples of rosé and sparkling wines from France, as well as passed hors d'oeuvres and charcuterie. Tickets for each tasting are $35. To reserve, note "cheese and wine" or "rosé and bubbly" when making an OpenTable reservation, or call the restaurant at (267) 606-6313. 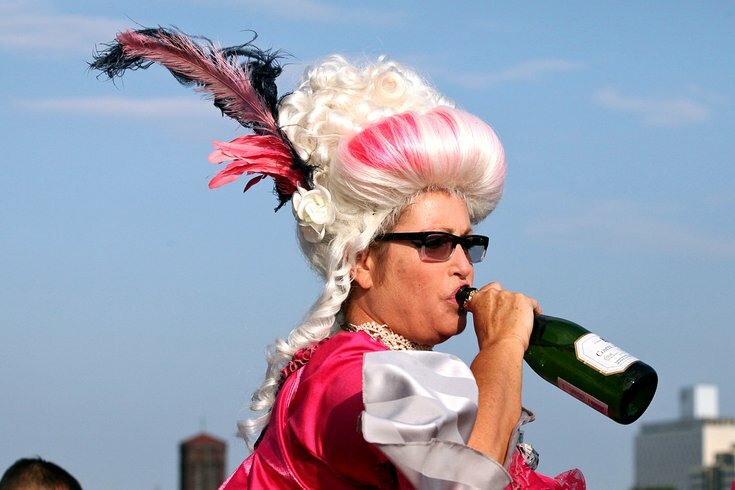 On Bastille Day, the restaurant is throwing a party from 4 to 7 p.m., with live jazz and prizes for the best French-themed costume. Each guest will also receive a complimentary serving of shortcake with fresh berries and cream. Also, if you dine at the restaurant that week (July 11 through July 14) you'll be entered into a raffle, with winners announced daily. 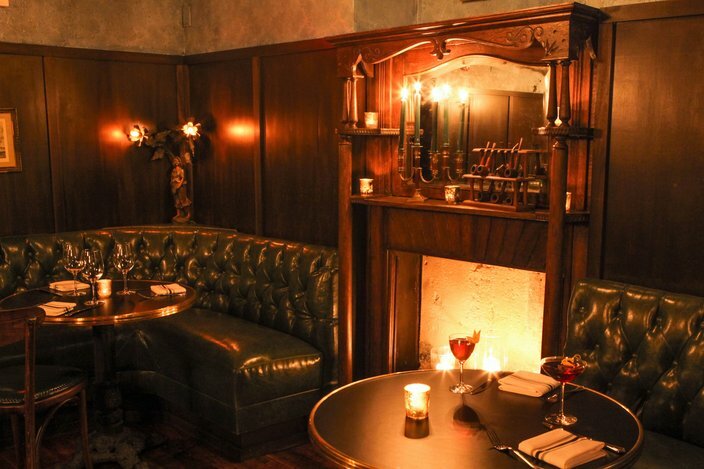 French bistro Bistrot La Minette will celebrate Bastille Day by offering a four-course meal for $40, on both Saturday, July 14, and Sunday, July 15. To start, there will be chilled potato leek soup with parsley oil and croutons. The second course will be a buffet of starters, including a selection of pâté, and the third course will be a choice of roast chicken, salmon or pork chop. For the final course, guests will choose from three French desserts. The special Bastille Day menu will be available from noon to 10:30 p.m. on Saturday, and until 9 p.m. on Sunday. Reservations are recommended. This will be the final year Eastern State Penitentiary's Bastille Day celebration will take place. Eastern State Penitentiary will host its final Bastille Day celebration this year. For the last time, the Bearded Ladies will perform a free, playful reenactment of the French Revolution outside the historic prison. After the performance – and after scooping up some free Butterscotch Krimpets – the crowd is invited to after-parties at London Grill and Urban Saloon. Beginning at 6:30 p.m., there will be French-themed food and drink specials. French restaurant Parc is celebrating Bastille Day and turning 10 with an outdoor festival on 18th Street. There will be outdoor dining in the street, face painting, a photo booth and surprise performances. 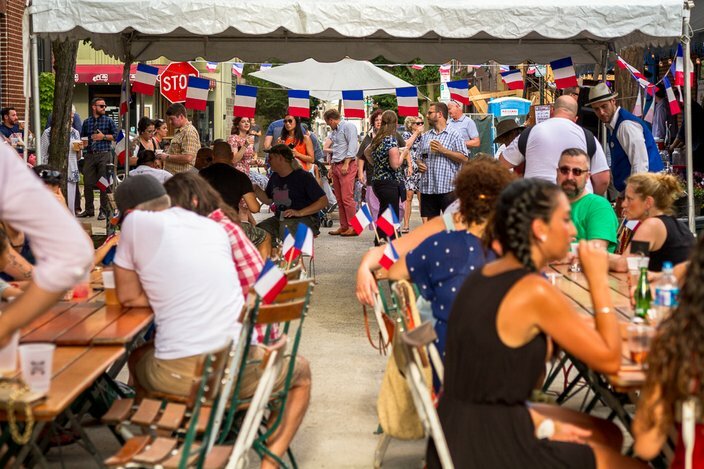 Good King Tavern throws a Bastille Day block party each July. 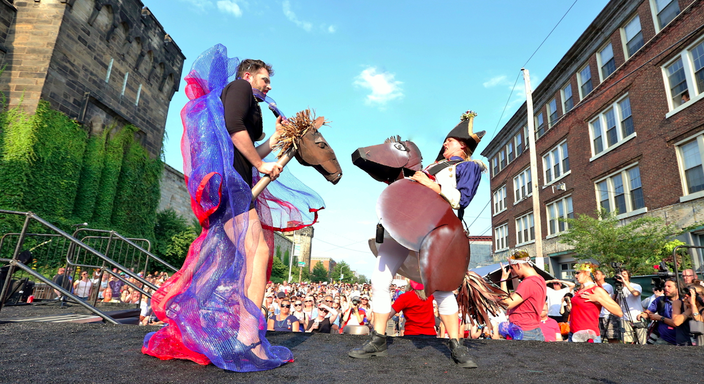 On Saturday, July 14, The Good King Tavern’s annual Bastille Day Block Party will take place noon to 7 p.m. This year, Nomad Pizza and Hale & True Cider will join in the festivities. Enjoy food, drink, live music, lawn games and face painting. Remember to bring cash.